Personal comment on the major needs in Cameroon which GAFFI should be addressing: In Cameroon there is an acute lack of laboratories that can diagnose fungal infection. The problem is acute especially for deep mycosis as histoplasmosis, which is an unknown public health problem in Cameroon, with fatal outcome in HIV infected persons. There is a lack of rapid tools for diagnosis; only staining of tissues is still used, causing false positive or false negative results. 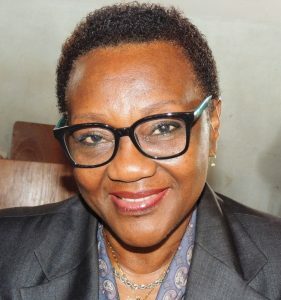 Only one effective lab is available in the whole country, which is located at Yaoundé, Centre Pasteur du Cameroun ( http://www.pasteur-yaounde.org ) this lab is not accessible to most Cameroonians. Consequently, there is lack of national surveys of fungal infections and lack of all fungal infections data in Cameroon.